I was requested some time back to take photos of Suhotra Prabhu’s memorial and to get an explanation from H.H. Bhaktividya Purna Maharaja on the project. What you see is the memorial. It has Suhotra Prabhu’s room on the bottom and on top is the memorial where his ashes are presently kept. You can see it has a particular design of a Yantra. 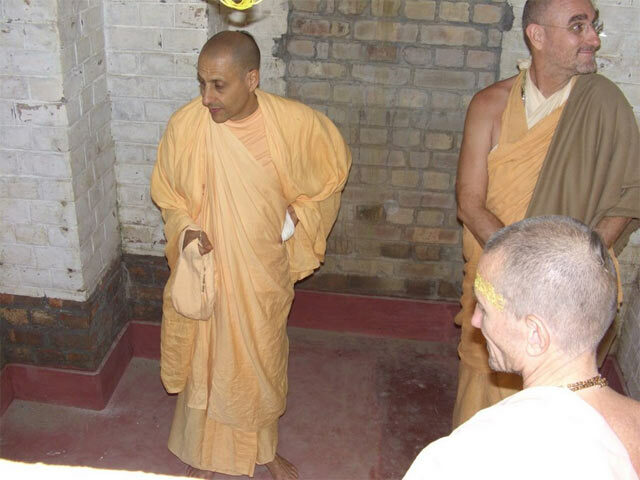 There is another two photos from the inside of the room, one of the Kolhapur devotees and one of H.H. Radhanath Maharaja with Bhaktividya Purna Maharaja and Jananivasa Prabhu. Bhaktividya Purna Maharaja explained that this structure will remain as it is, and the room will be used to keep the Deities paraphernalia. 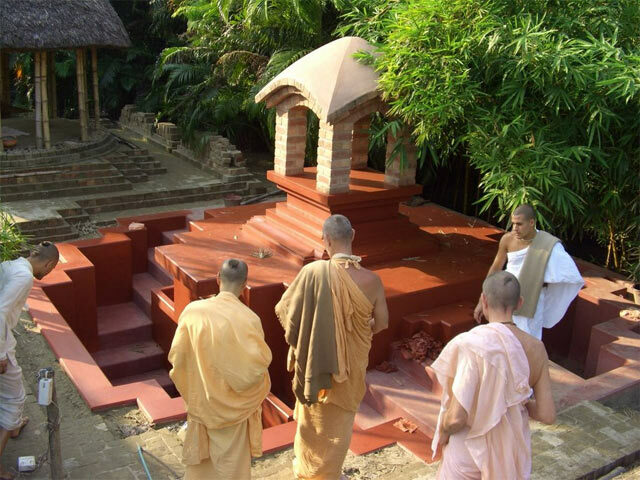 It is not open to the public as it is within the academy, but devotees can visit this with a guide from the Academy. 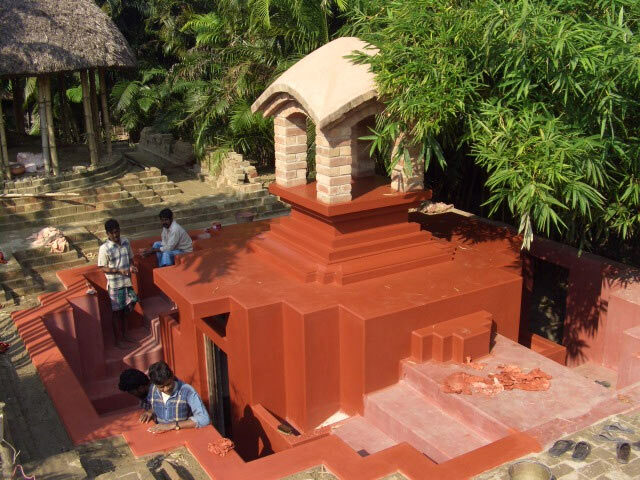 The samadhi will be put downstairs in the public class area, as that area is open to the public where devotees can come anytime to take darsan, hold Vyasa puja or disappearance programs etc. The ashes that are presently in the memorial will be put ceremoniouslu into the Samadhi after it has been erected in its final location.